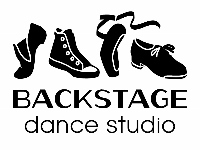 Welcome to Backstage Dance Studio's online registration! Please provide your information below and click SUBMIT when complete. If enrolling in our 2018-2019 School Year Session, you will be charged an annual $35 family registration fee and your first tuition installment upon registration. If enrolling in our 2019 Summer Session, there is no registration fee, but you will be charged for the full session tuition upon registration. You may use the various filters when selecting your classes. Be sure to select the correct session when searching for classes. Waiver & Release General: In consideration of allowing the below named student to enroll in a gymnastics, dance and cheerleading school program and the use by the students of the premises and the property of said school, the undersigned, being the legal and acting guardians of the student, acting for themselves and on behalf of the student, release and hold harmless Gymnastics East Inc., Backstage Dance, and Action Athletics Inc., their owners, officers and employees of and for any and all liability, claims, actions and causes of actions whatsoever, arising out of or relating to any loss, damage or injury that may be sustained by the student while in, on, or upon the premises of Gymnastics East Inc., Backstage Dance, or Action Athletics Inc.
Medical Attention: The undersigned, being duly aware of the risks and hazards inherent upon participation in the classes, activities, and events being conducted by Gymnastics East Inc., Backstage Dance & Action Athletics Inc., acting for themselves and the student, hereby elect voluntarily to enter upon said premises under the control of said corporations, knowing their present condition. The undersigned acting for themselves and the student, hereby voluntarily assume all risks of loss, damage, or injury that may be sustained by the student while in said premises described above. In the event of any incident which may require immediate medical/dental or any other emergency attention/care, in which the Legal Guardian cannot be notified in a responsible time through reasonable means, I hereby authorize Gymnastics East, Backstage Dance or Action Athletics Inc., to take all necessary actions as it relates to immediate medical training attention, transportation and emergency medical services as warranted in the course of care of the undersigned student. I realize that I will be responsible for all fees and expense as they may relate to this medical attention paragraph. a) That he or she has read this release and understands it and signs it voluntarily. b) That the undersigned signing as legal guardian is true legal guardian. Cancellation Policy: I understand that full payment must be made at time of registration and will not be refunded unless the spot can be filled in which case all but a $25 cancellation fee will be refunded. The adult Student or Parent, by signing here, acknowledges they/their child are/is taking class at their own risk and agrees to hold Backstage Dance Studio, its instructors, and/or assignees harmless in the event of any physical injury to student or loss of personal property. Signer is aware that there are inherent risks associated and accompanied with the activity registered for and that the child may be injured as a result of an accident arising out of participation in the activity. All students are required to be covered by their own insurance policies. If any injury occurs, it is understood that the student's own policy is the only source of reimbursement. In the event of medical emergency, every effort will be made to immediately reach the primary account contact. If unable to make contact, Parent's signature here authorizes Backstage Dance Studio to call 911. Signer is aware that Backstage Dance Studio may take photos/videos of students for the purpose of promoting the Studio, recording performances or documenting progress. Tuition is based on STUDENT hours per week and may be paid by the Month or Year. There is an annual Family Registration Fee of $35 due at time of registration. All accounts being billed on a monthly basis will automatically be set to Auto-pay, using the credit card provided upon registration. Auto-pay accounts are processed on the first business day of every month. Tuition is considered late after the 10th of the month, and a $20.00 late fee per family will be charged to your account if past-due. Yearly plans are not available after Tuesday, September 18, 2018. WE DO NOT BILL UNLESS AN ACCOUNT BECOMES DELINQUENT. Payment in full must be made at time of registration for Summer Session. Non-refundable registration fee and first installment of payment plan is due upon registration for the 2018-2019 School-Year Session. Registration fee does not apply to Summer Session. Written notice of intent to cancel enrollment is required two weeks in advance of intended end date. There is no refund for tuition due, or paid, in the month the class is dropped. If you paid in full upfront, the tuition will be re-calculated at the monthly rate to determine any partial refund. Drop forms are available at the studio front desk, or you may email us at dancewithus@backstagedance.org. If your account becomes 61 days past-due, your dancer(s) will be automatically dropped from all classes. Dancers with four consecutive absences in an individual class may be automatically withdrawn. Regardless of dancer(s) attendance, tuition for the months enrolled is still owed, NO exceptions. Proper dance attire enables the student to fully participate in class and to maintain a disciplined attitude towards dance studies. The Backstage Dance Studio Dress Code is posted online at http://backstagedance.org/about-us/dress-code/, and dancers not dressed in accordance to these requirements will not be allowed to participate in class or performances. Any dancer even suspected of suffering a concussion should be removed from the class or performance immediately. No dancer may return to activity after an apparent head injury or concussion, regardless of how mild it seems or how quickly symptoms clear, without medical clearance. Close observation of the dancer should continue for several hours. The new "Zackery Lystedt Law" in Washington requires the consistent and uniform implementation of long and well-established return to play concussion guidelines that have been recommended for several years: "A youth athlete who is suspected of sustaining a concussion or head injury in a practice or game shall be removed from competition at that time" and"...may not return to play until the athlete is evaluated by a licensed health care provider trained in the evaluation and management of concussion and received written clearance to return to play from that health care provider".